2. Connect the old phone to your PC, or use a file manager to browse the old phone's folder structure and copy the WhatApp folder, with "Databases", "Media" and etc. - and copy the WhatsApp folder to your PC or to a location on the SDCARD. 3. Now connect your new phone to your PC, or switch SDCARDs between phones. 4. 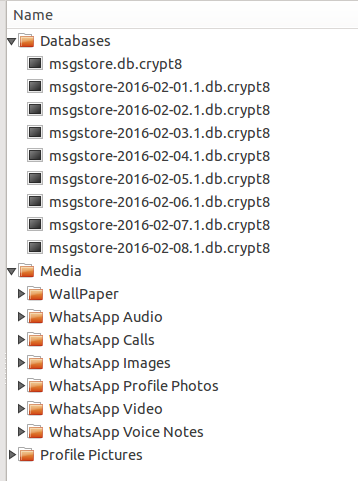 Copy the contents of Databases and Media from the old phone into/over the fresh WhatsApp folder structure on the new phone. 5. On the new phone, delete the WhatsApp app/application. 6. Then re-install WhatsApp on the new phone. Upon WhatsApp startup, verify your number again and then a new step will pop up, asking you to restore an old backup. Select "restore". I might be overseeing something obvious, BUT: I really don't understand why WhatsApp, with over a billion users!, doesn't offer a clearer migration path to its users.